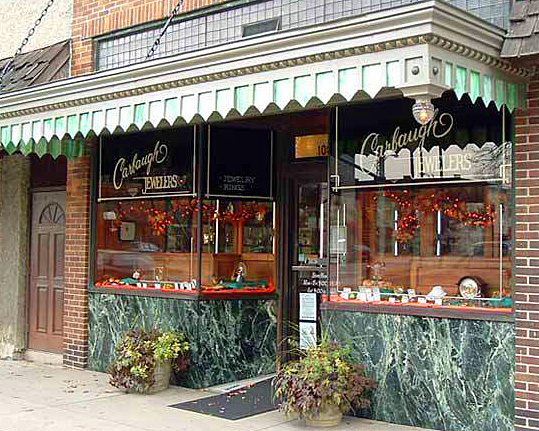 The history of Carbaugh Jewelers dates back to 1901, making it a part of the downtown business district for 117 years. Walking into this unique store makes you feel like you’ve stepped back in time. Old photographs and antique memorabilia lend an air of timeless beauty to the jewelry and watches that are displayed in the lovely and beautifully preserved wooden display cases.